This was a special order from a customer who stays in Taiping for the girlfriend who's staying in KL. 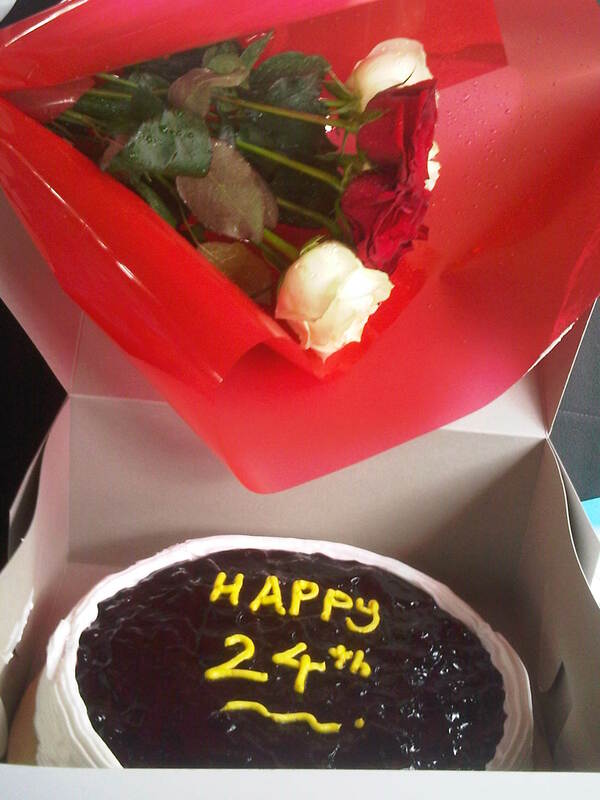 The additional request was a bouquet of white and red roses with our extra yummy blueberry cheesecake. Isn't he a darling? Wish every girl would have a boyfriend like one! 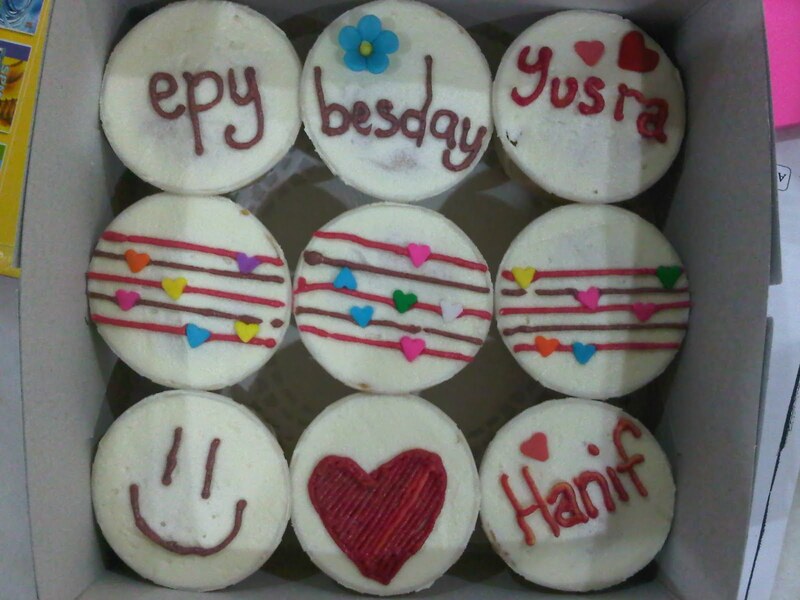 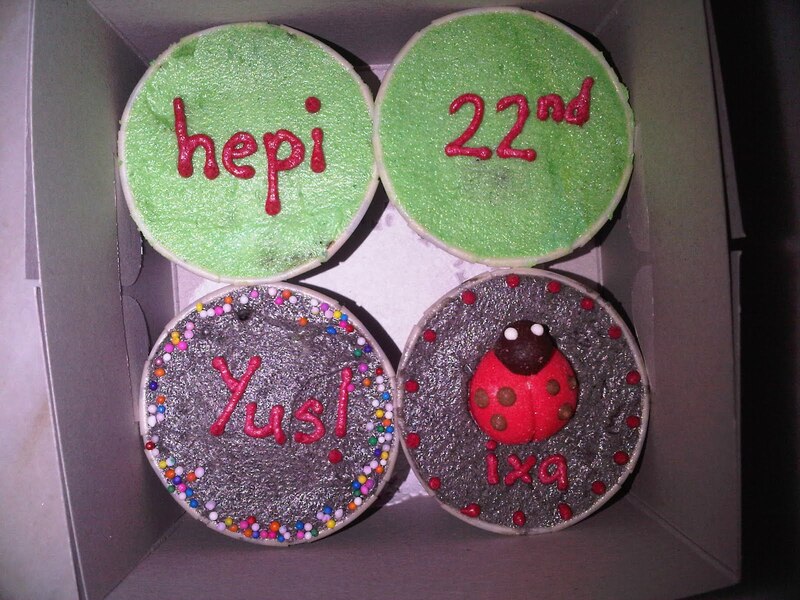 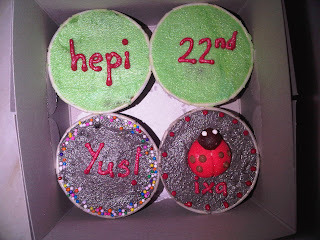 Thanks for the order and Happy birthday Yusra! 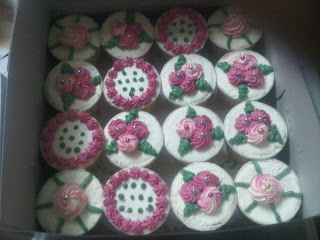 Sorry once again for the late update! This is also another outdated entry. 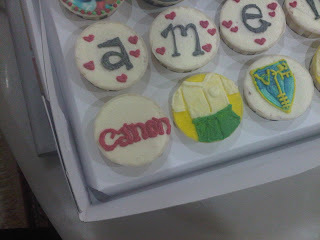 The order was placed in July. 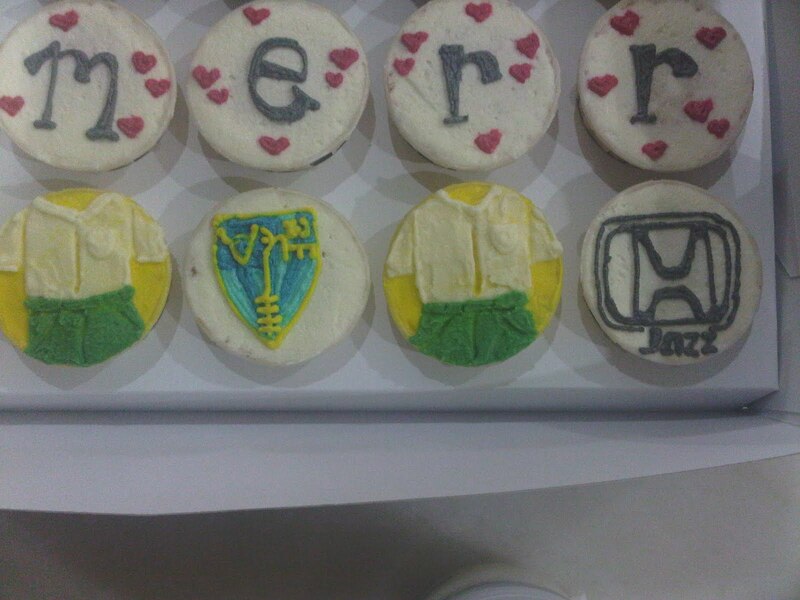 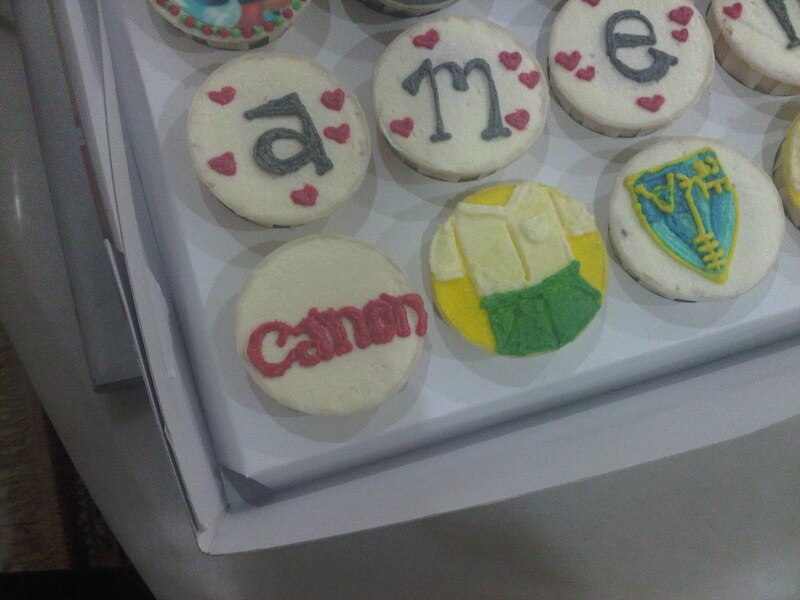 The customer requested for some designs like "Canon", "Honda Jazz", school uniform and Victoria Institution's logo on the cupcakes. 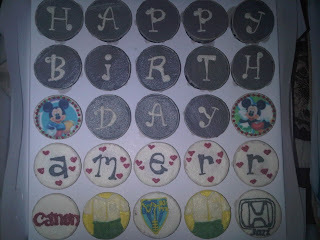 Not to mention Mickey Mouse edible image.